This classically correct chronograph was hard to improve on, so Fortis is re-issuing it to mark the brand’s 100th anniversary. 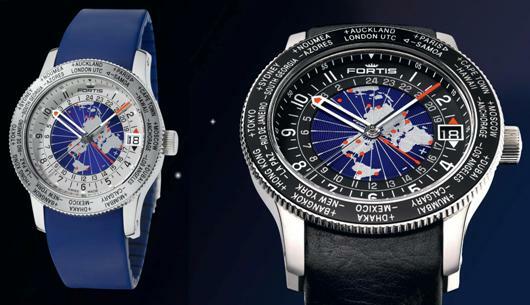 Fortis Marinemaster watches have been prized by watch aficionados and collectors ever since they were initially introduced in the 1960’s. 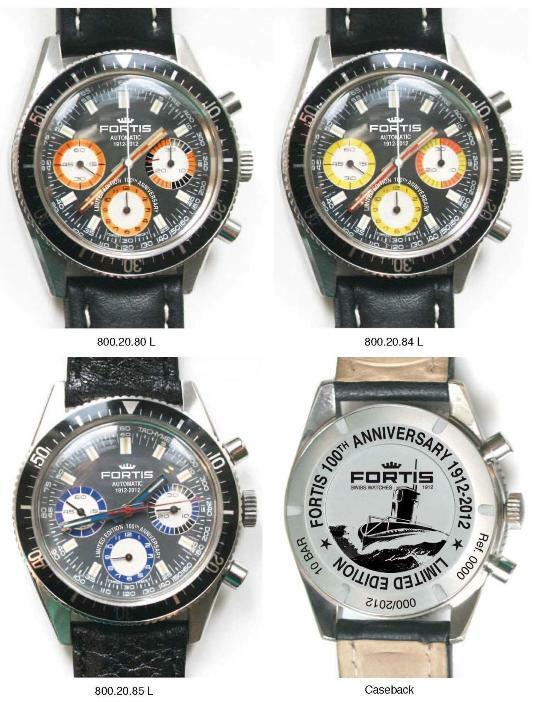 One of the favorite Marinemaster watches ever produced was the famous Fortis Marinemaster Chronograph. The classic styling on this iconic watch has often been imitated, but never surpassed. Rather that try to update this collector classic, Fortis has decided to re-issue it in honor of the brand’s 100th anniversary. 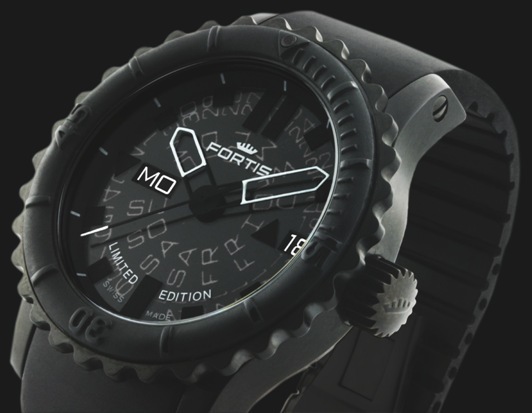 The look and feel of the new Fortis Marinemaster Retro Edition is identical to the original watch. The classic watch face with three colored subdial counters at 3, 6, and 9 o’clock has been retained. The polished stainless steel case with its unidirectional turning bezel is identical. Even the Hesalit Plexiglas crystal has been retained. If you didn’t know better, you’d swear this watch was NOS that had been kept in a drawer for 50 years. The only thing different about this re-issue is that the original Valjoux caliber 72 movement has been replaced by a superior Dubois Depraz 2075 movement. This handsome black dial timepiece features a black knurled bezel with silver indices and numbers. Each of these classic watches is fitted with a black leather strap, just like the original. 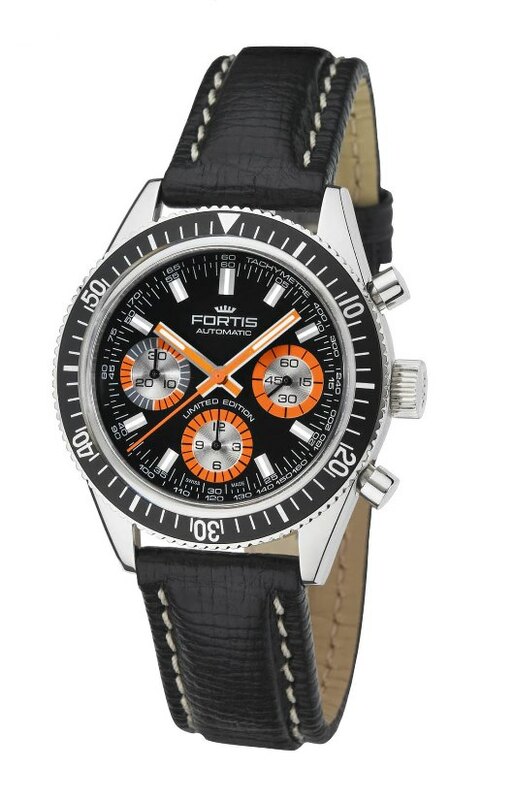 The Fortis Marinemaster Retro Edition is water resistant to 165 feet and comes with a 2-year Fortis warranty. Only 600 pieces of this authentic 1960’s masterpiece will ever be produced. 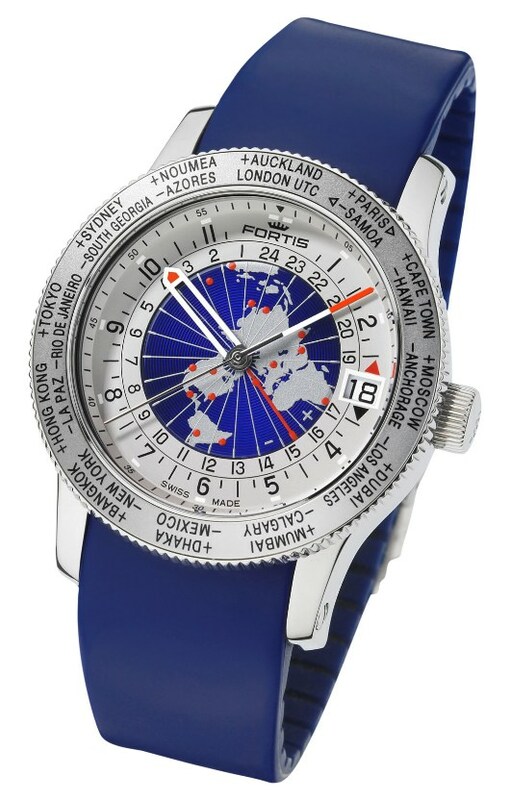 If you didn’t acquire one of these watches when it was originally introduced, you won’t want to miss this unique opportunity to wear a piece of history. The Fortis Marinemaster Retro Edition is a superb example of the legendary Fortis quality and reliability that has made the brand a favorite with pilots, astronauts and mariners around the world. Fortis will soon be celebrating its 100th anniversary, and you can join in the celebration by reserving your Marinemaster Chronograph at an authorized Fortis dealer today.